As was reported yesterday, Soho's 591-593 Broadway is trading Eastern Mountain Sports' fleece pullovers for Victoria's Secret's padded bras. It's not over for EMS, though. 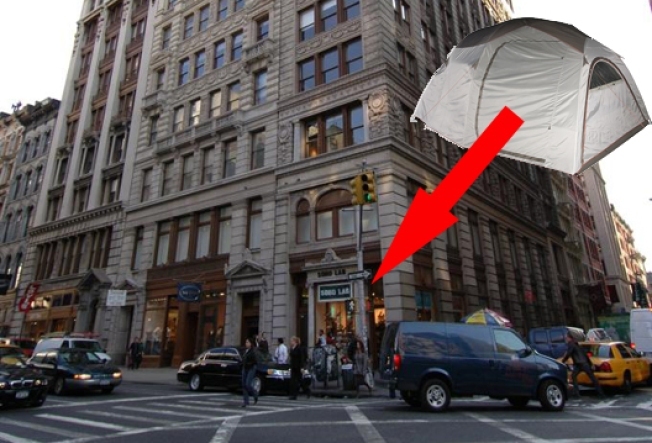 Today we hear that the outdoor specialty retailer is taking a hike south to a bi-level, 18,000-square-foot storefront at 530 Broadway and Spring Street. The former Soho Lab space will be transformed into an EMS flagship, with an expanded selection of camping, kayaking, hiking, skiing and running gear and outdoorsy clothing from North Face and Teva—all perfect for the adventure-seeking urbanite.